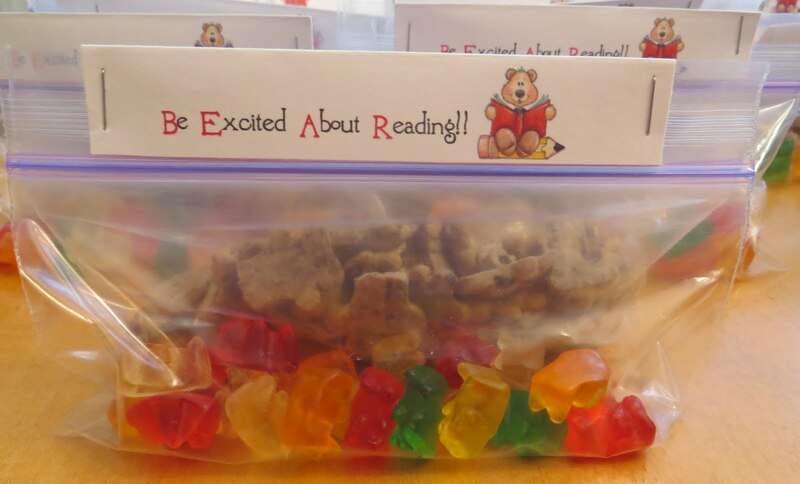 My 2nd grader's class had a Be Excited About Reading (BEAR) day! They were allowed to wear their pajamas and bring a towel, books, and stuffed animal from home. I sent in teddy grahams & gummy bears for their snack that day with these cute labels (you can download them HERE). Print the labels on white cardstock, cut them out, fold them in half, and staple together with the 2 snack bags in between. The kids had a great BEAR day!